While Maryland’s Caped Crusader continues to zip around in a Lamborghini Gallardo Spyder to bring happiness into the lives of sick, hospitalized children, the man known as the Bay Harbor Batman in Maine was arrested over the weekend when he posted an April Fool’s joke on the Bay Harbor Batman Facebook page. According to a report by news station WABI, Chris Schwartz (the Bay Harbor Batman) publicly posted “I demand payment of 1 million Dollars or I will Blow up the Hospital. Once the funds are secured, Private Message me for Further Instruction.” The post was a reference to Christopher Nolan’s The Dark Knight where the Joker, played by the late Heath Ledger, threatens to blow up a hospital in Gotham City. 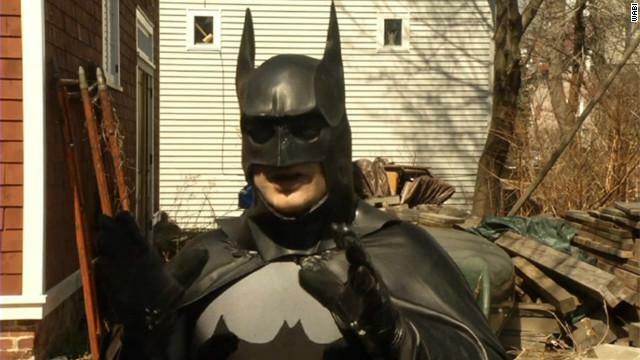 According to Bay Harbor locals, Schwartz is most well-known for dressing up as Batman and dancing around his boombox in public as well as appearing in local parades dressed as the Dark Knight. While his wife protested from the home, Schwartz was arrested by police and charged with “terrorizing” according to the legal document Schwartz posted on the Bay Harbor Batman Facebook page. After being released on bail, Schwartz removed the offending post from the Facebook page and altered the page description as well as the cover photo to dissuade anyone from believing that his posts are meant to be legitimate. The Hancock County District Attorney’s office hasn’t announced a decision if the “terrorizing” charge will be formally filed in court. According to the Bangor Daily News, previous complaints against the Bay Harbor Batman has involved noise complaints after the police warned Schwartz to lower the volume of his boombox on public streets. 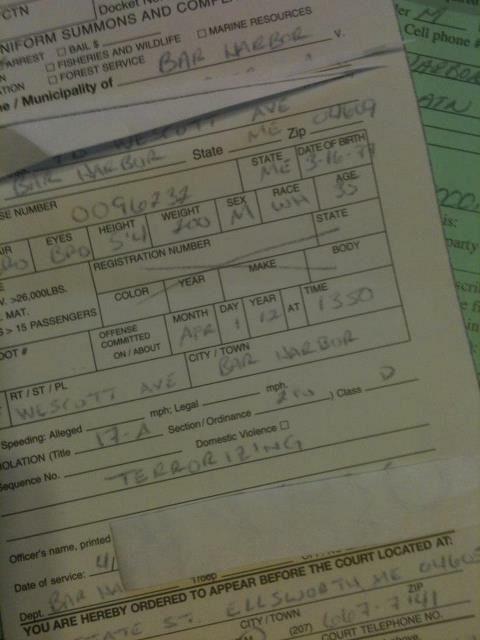 Beyond being warned on two separate occasions regarding the loud music, the local police department doesn’t have any other records of incidents involving Schwartz in the Bay Harbor area. 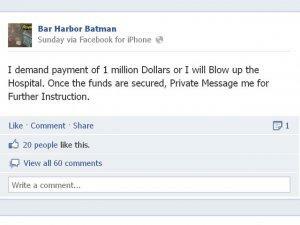 Schwartz’s Facebook page for the Bay Harbor Batman has gained approximately 400 fans since the arrest.